Looking is a HBO drama about a group of gay men living in San Francisco. Often compared to the Showtime drama Queer as Folk, which first aired in 2000, it has been touted as a mainstream window on gay men’s lives. But while Queer as Folk tackles socio-political issues and challenges the heteronormative status quo, Looking has been accused of overlooking structural issues and promoting assimilation. 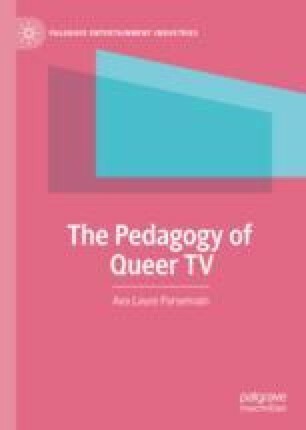 Refuting these critiques, this chapter argues that Looking does not simply promote homonormative assimilation but critically examines processes of “gaystreaming.” Although the three lead characters embrace heteronormative values, the text distances itself from them and explores the tensions between queerness and gay assimilation. The programme reflects on what it means to be gay in a post-closet world and what happens to queer difference when gays enter the mainstream. Like most quality dramas, it teaches through cinematic realism and post-modern self-reflexivity.